We have been supplying the education sector for more than five years and during this time we have come to understand not only what features different schools may require, but also which products perform best in these environments. Built to military specification & IP55, it’s the most rugged & robust radio in its class. Supplied with a long life Li-Ion battery and compact desk charger as standard, it’s one of the top choices if you are looking for a premium PMR446 ra.. 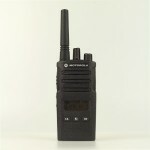 This simple-to-use, highly-affordable, two-way radio is the perfect communication tool for organisations of almost any type. Coupling the convenience of a compact, rugged and functional design with the features and high performance of a quality li..
GREAT VALUE SIX-PACK PRICE! 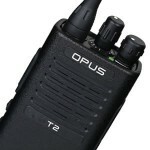 This simple-to-use, highly-affordable, two-way radio is the perfect communication tool for organisations of almost any type. Coupling the convenience of a compact, rugged and functional design with the features and h.. 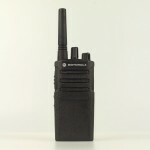 The new TX-1446 Plus is the ideal PMR446 radio for reliable communications. No other compact, professional grade licence-free model can deliver so much versatility and functionality - making it very popular & great value for money. .. 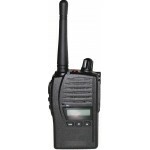 The Vertex VX-231 is a very affordable hand-held radio which is small, lightweight and compact, making it suitable for a variety of uses. 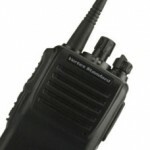 This radio is a popular model for people making the transition from&n.. 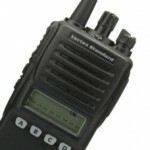 The VX-354 UHF features a rugged and compact body, 8 character display and 4 front panel buttons. Other features include a 2300mAh Lithium-Ion battery, 16 channels and rugged construction. 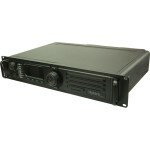 Unit is supplied with: ..